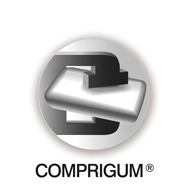 COMPRIGUM® is a technology, developed by S.I.I.T. Nutritional Division through which is possible, by a tableting-like process exploiting the particular features of the gum base, to obtain chewing gums to be used as a drug delivery systems releasing active ingredients. a chewing gum tablet obtained by direct compression and tableting at high-speed standard machine, form a chewing gum tablets that provides a quickly dissociable chewing gum, after a few seconds of chewing, particles adhere together to form a uniform and homogenous mass. The compressed tablet is capable of releasing the active ingredient into the mouth cavity, after 2-10 chews dissociation reaches to maximum. We can formulate many sensitive active substances in model of compressed chewing gum that is advantage over other methods. high content uniformity. Bi and 3 layered compressed chewing gum tablets has been developed by SIIT team. COMPRIGUM® technology can be applied to finished product formulated as chewing gums releasing actives. The shape can be round or rectangular. Each application of COMPRIGUM® on finished products is BRANDED and could be protected by patents issued or pending.